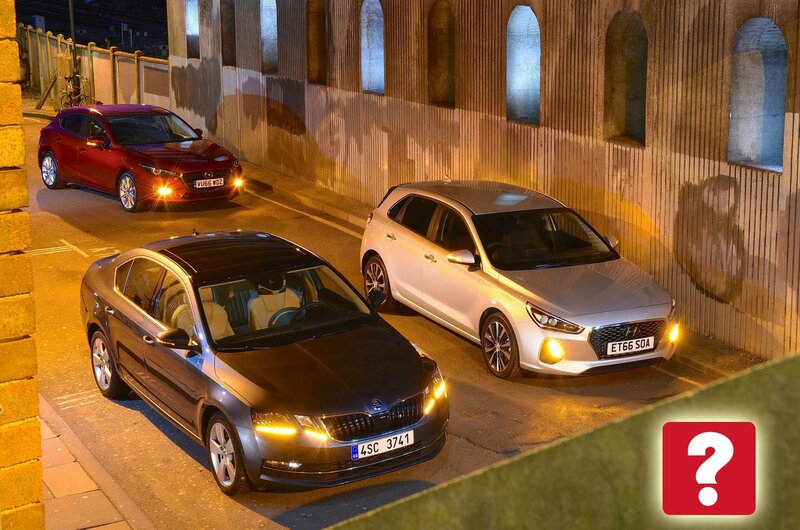 New Hyundai i30 & Skoda Octavia vs Mazda 3 | What Car? Brand new i30 arrives on the scene with a punchy petrol engine and a lot of standard safety kit. Minor updates mean the sharp-suited 3 gets another shot at the class leaders. Our long-time family favourite gets a fresh new face and a more advanced infotainment system. Whoever coined the phrase ‘less is more’ clearly hadn’t driven a Skoda Octavia. It’s one of our favourite family cars, chiefly because it offers so much more space than its rivals for less money. And a recent facelift, which included a new infotainment system, has only upped its appeal. However, prices have crept up, too, so while it’s still fine value for money, the Octavia isn’t quite the incredible bargain it once was. Meanwhile, Hyundai has given us a new i30 that actually undercuts the Skoda on price, gets more safety kit and yet has an equally modern array of infotainment gadgets. Our final contender is the Mazda 3. Revisions late last year mean it’s better equipped than ever, and what its engine lacks in punch, it makes up for with good fuel economy and low CO2 emissions. 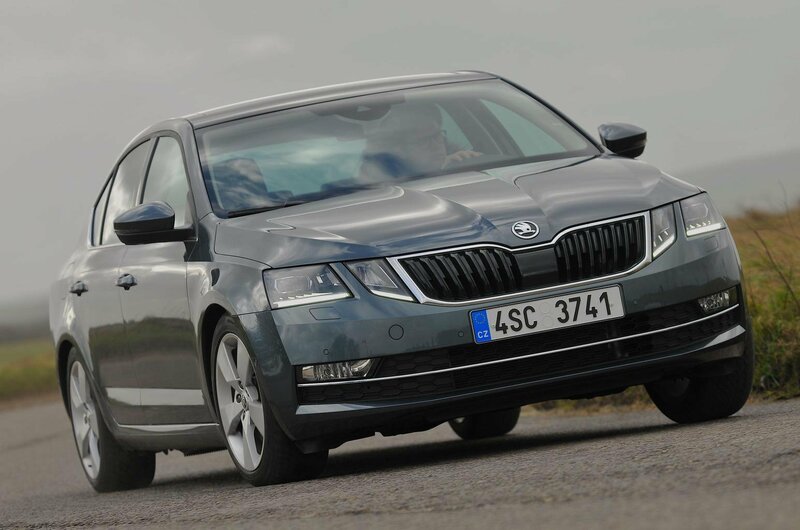 So, that begs the question: is the Octavia still the one to go for? This test is a perfect showcase of the benefits of turbochargers. 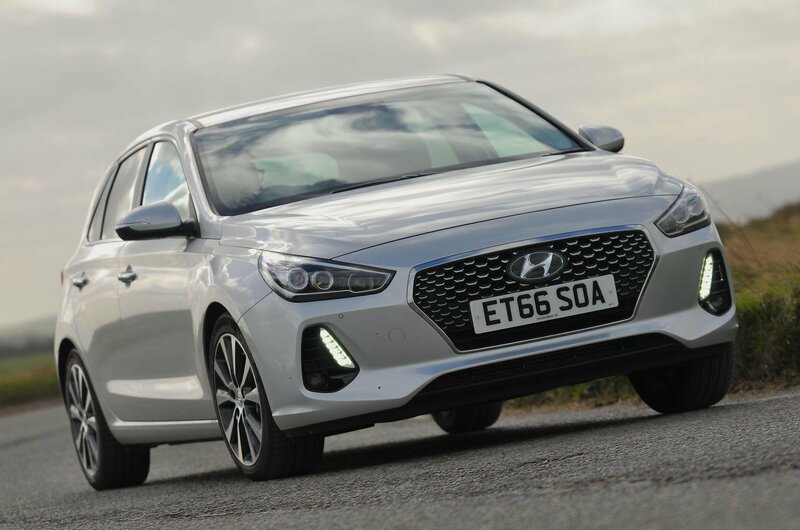 That’s because despite having relatively small 1.4-litre engines, the Hyundai and Skoda annihilate the 2.0-litre Mazda for straight-line pace. The difference is most obvious when you’re accelerating from low revs. The Mazda’s engine is decidedly flat until the revs pass 3000rpm, whereas the two turbocharged cars build speed briskly from just 1500rpm. Even when you really thrash the Mazda, it’s still much slower than the Hyundai and Skoda, which closely match one another for performance in all situations. 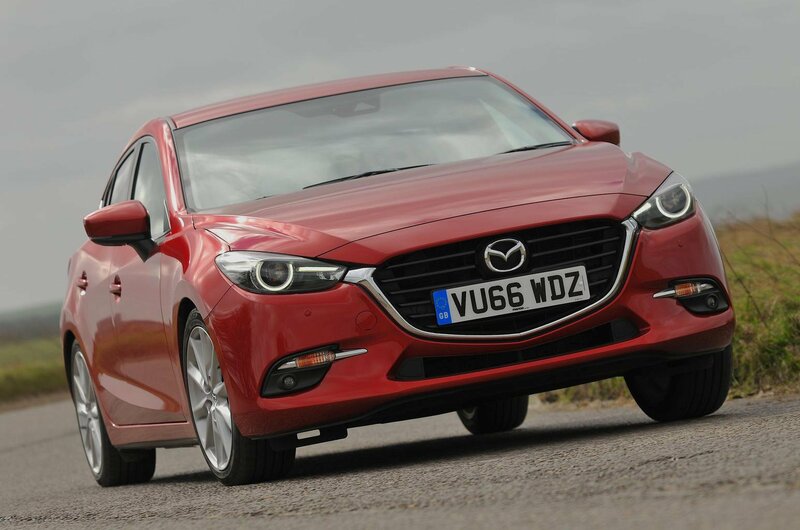 All three of our contenders have relatively slick six-speed manual gearboxes, although the Mazda’s doesn’t like being rushed. Mind you, it’s just as easy to drive the Mazda smoothly as it is the Skoda; both cars have positive clutch and brake pedals. The Hyundai’s vague clutch means it’s easy to find yourself using too few or too many revs when pulling away. Mazda has a reputation for building fine-handling cars, but the 3 isn’t one of them. Tackle a corner with any vigour and you’ll wish the steering weighted up more consistently to help you gauge how well the front tyres are gripping. It doesn’t help that when the tyres do reach their grip limit, it all happens very suddenly, with the nose of the car ploughing straight on. Lift off the accelerator pedal, as you instinctively will, and the rear end suddenly feels light and twitchy, forcing the car’s electronic driving aids to intervene. The Hyundai is much more predictable; think of it as a pet dog that can’t be bothered to chase a ball but which you’d trust with your kids. It grips the road best of all three cars and corners securely and predictably, even if its steering never really involves you in the action. 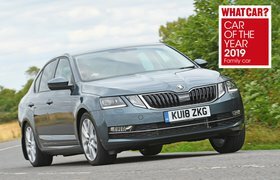 Our Skoda came fitted with winter tyres, which didn’t grip very well in the unseasonably warm weather in which our tests were conducted. The Skoda has the most body lean in corners, too, but it’s always predictable and has the most accurate, feelsome steering of our trio. None of our contenders rides perfectly, but the Skoda irons out lumps and bumps fractionally better than the Hyundai, particularly along scruffy urban back roads. Meanwhile, the Mazda’s altogether firmer suspension makes you the most aware of bumps as they pass beneath you.